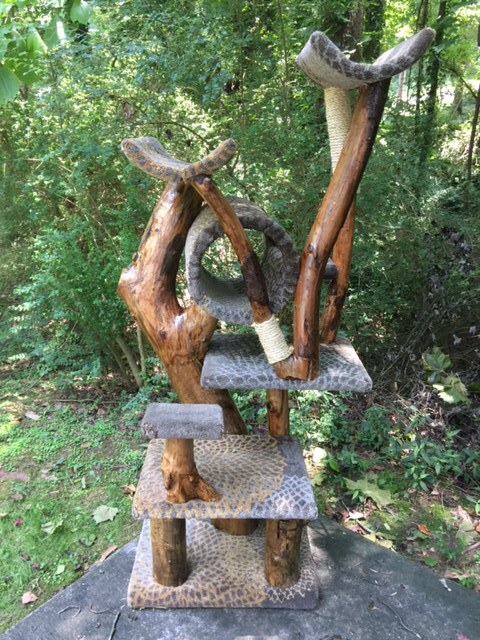 Rustic cat trees and cat furniture that your feline friends will love for years to come! Each and every Furwood Forest cat tree is a handmade and unique piece of art. 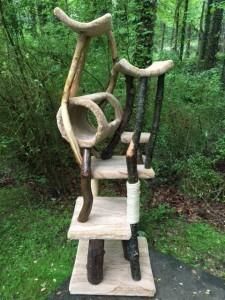 We have a wide selection of cat furniture designs, which are crafted with natural tree branches and pieces of real wood in the construction of the bases, poles and platforms. 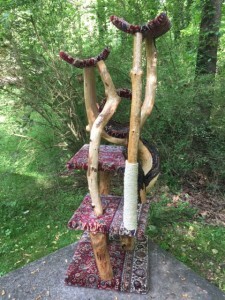 Your cats will be able to do what they’re built for which is to stretch, climb, and perch up high. And they love the feel of the natural bark under their paws! Sturdy, Handmade Construction – Built to Last! If you don’t see anything on our Current Inventory page that will meet all of your cat’s needs? Just ask! We would be happy to discuss a custom project with you. Just fill out the Order Form with what you have in mind in the comments section and provide your contact information. Please make sure to include your telephone number. Cat Tree Furniture Shipped Nationwide! We are happy to ship your new rustic cat tree anywhere in the US. Or you can meet us at a cat show and pick it up from us there. Check out our show schedule.